A model bedecked in a bold smock walked the runway at Victoria Beckham’s New York Fashion Week show. | Designer Jules Wilson made a dramatic statement in this dining room by employing over-sized lighting and a graphic wall print called “Terminus” that was produced with glass and ink. The first New York Fashion Week of 2018 saw designers from R13 to Tom Ford taking a page out of the ’80s-nostalgia-infused playbook of Stranger Things, embracing an underpinnings-out look and pushing vibrant shades, graphic prints and oversize accessories galore. Intense feelings of outfit envy set in after you scroll through fashion show images. 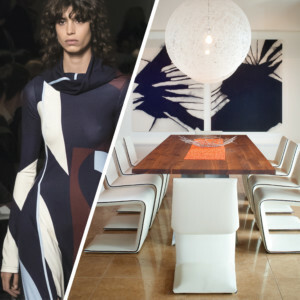 But clothing designers aren’t the only ones influenced by catwalk looks; hot colors and patterns find their way into the world of interiors too. We asked local design authorities Darcy Kempton of Simply Stunning Spaces, Jules Wilson of Jules Wilson Design Studio and Kristin Lam of Kristin Lam Interiors for tips on bringing fashion trends into our home spaces. Go Bold Or… The clear ’80s influence surfaced in graphic materials (hello, metallics and sequins) and prints—especially animal patterns—in shades from bright to neon. The “almighty inspiration piece” never fails, according to Darcy, so find that wallpaper, accent chair or artwork that encapsulates the look and spirit of the crazy print or material that captured your heart and pull colors and shapes from it to get a cohesive look. 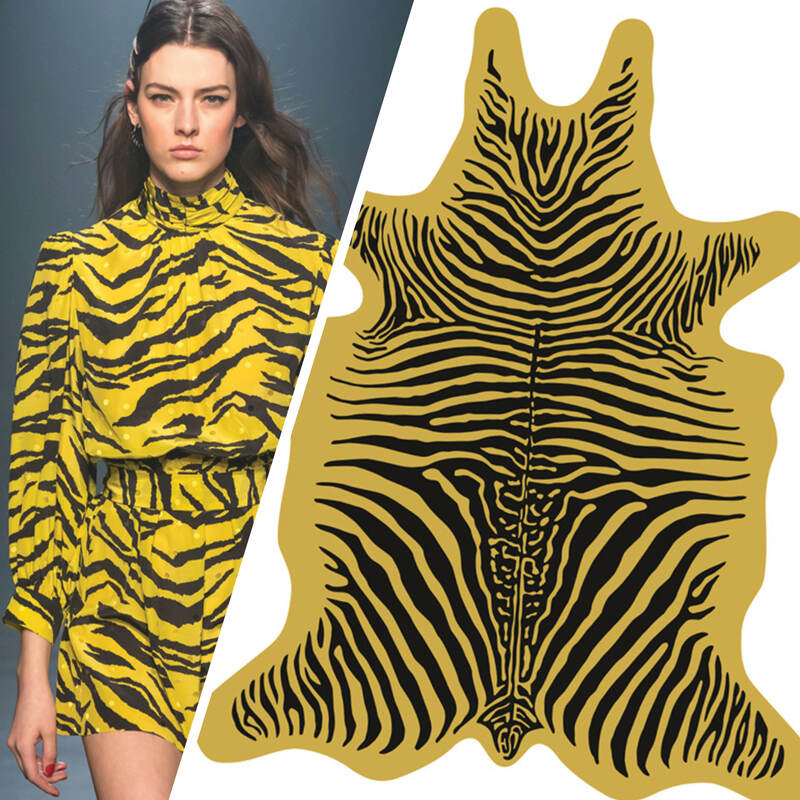 This Podevache Zebra Collection floor mat in yellow—available at Amara—mimics the neon tunic (left) from the Zadig & Voltaire show. “Or try the three-item-combination rule,” she adds. “Rugs, pillows and artwork are great ways to try a trend on.” Put all three together in a living room or bedroom where the sofa or bed might be more neutral. It’s an easily reversible, cost-effective way to try something new. 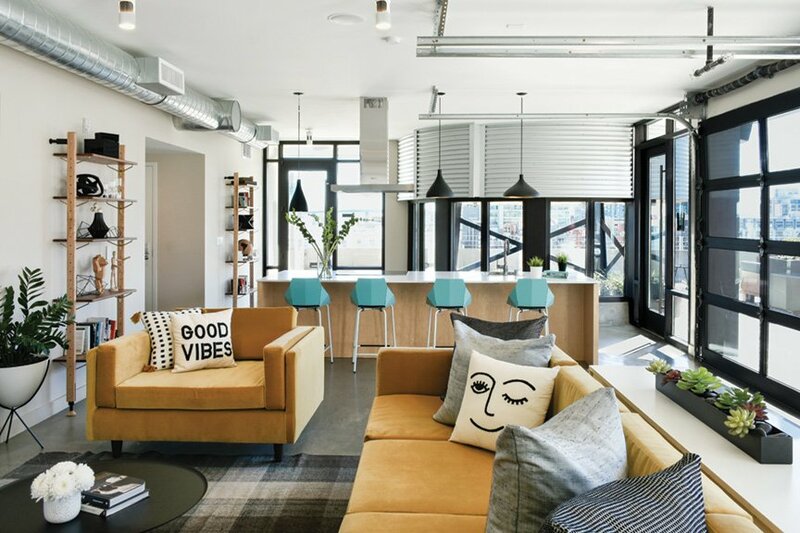 But make sure whatever else is in the room doesn’t compete with the items you’re adding. 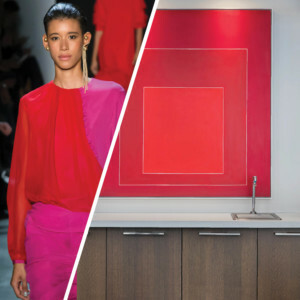 A sizzling red-and-pink dress graced the catwalk at the Prabal Gurung show. • Jules says to avoid making things too busy by scattering a vibrant shade all over and to instead bring it in through a single piece of large-format artwork. Petal Pushers Flowers in varying shades and patterns blossomed on complete ensembles—skirts and sweaters, pants and blouses, and dresses and shoes. 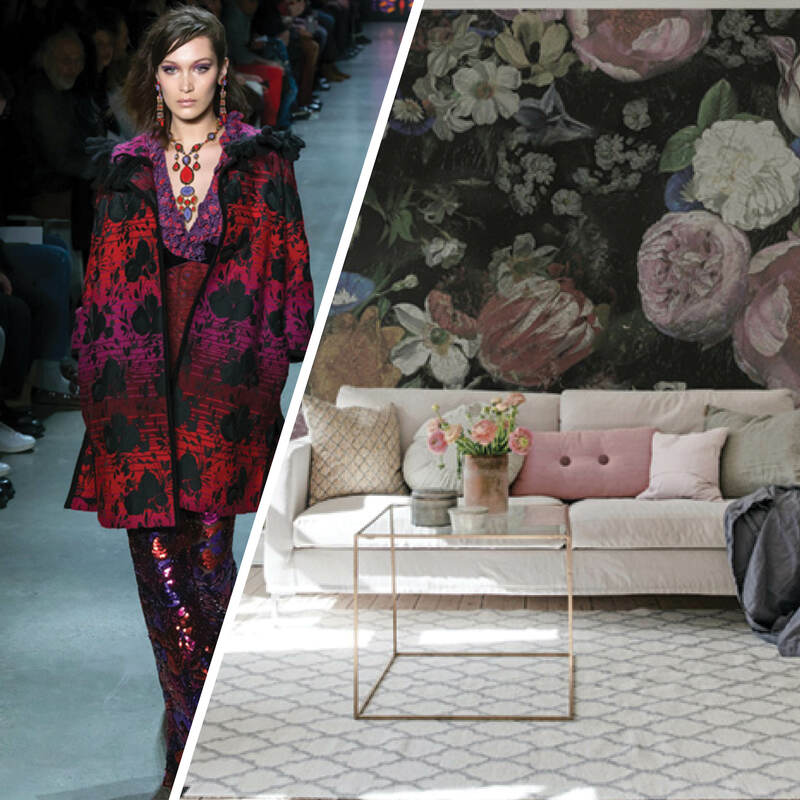 Pattern mixing can be tricky, so don’t take on too many florals at once. Reupholster an old chair in one fabric and add a throw pillow in another or try the chair up against a floral accent wall, Darcy suggests. Bella Hadid dazzled in broody florals at the Anna Sui show. | Rebel Wall’s Blooming floral wallpaper sets a moody tone in this living room. Super-Size Shine The bigger, the better, it seems. To complement the clothing, designers paired garments with extra-long chandelier earrings, chunky necklaces, oversized shades and gleaming body jewelry. 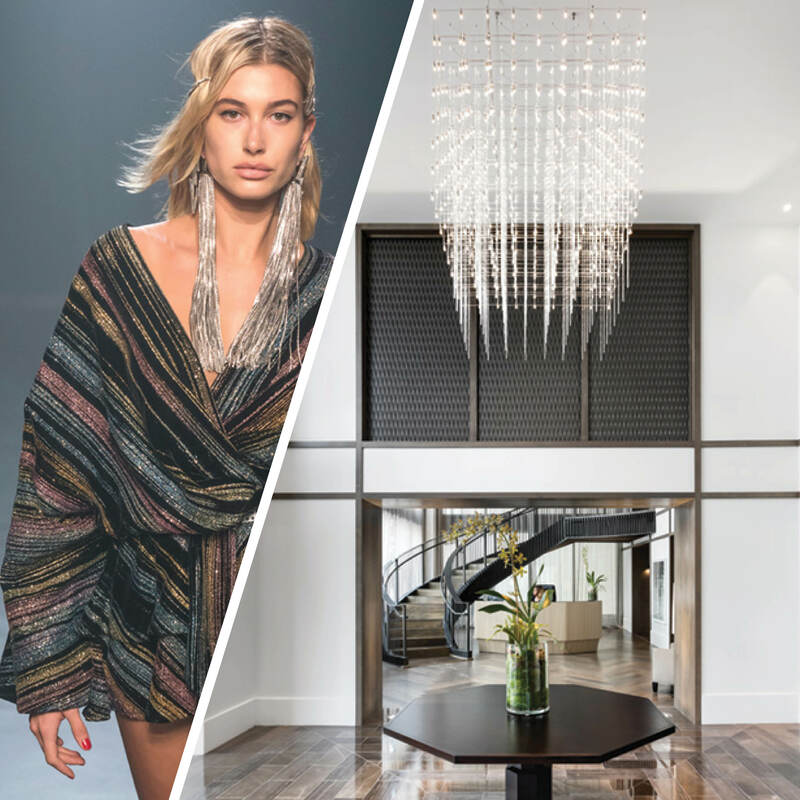 Hailey Baldwin rocked ultra-long chandelier earrings on the Zadig & Voltaire runway. | Jules brought the bling to this entry area with an elegant chandelier. 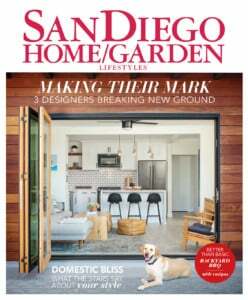 Just as the statement-making earrings or a fantastic cuff can make an outfit, wow-factor home accents can take a space from great to fabulous.“I might use a statement faucet or light fixture that plays a supporting role that is essential to the overall look of a space, just like jewelry is to an outfit,” Jules admits. Bow of the Ball Jumbo bows tied on shoulders, hips and lower backs upped the femininity factor on runways. This would be a fabulous trend to use with drapery tie-backs; it would be especially cute in a little girl’s room, Darcy says. 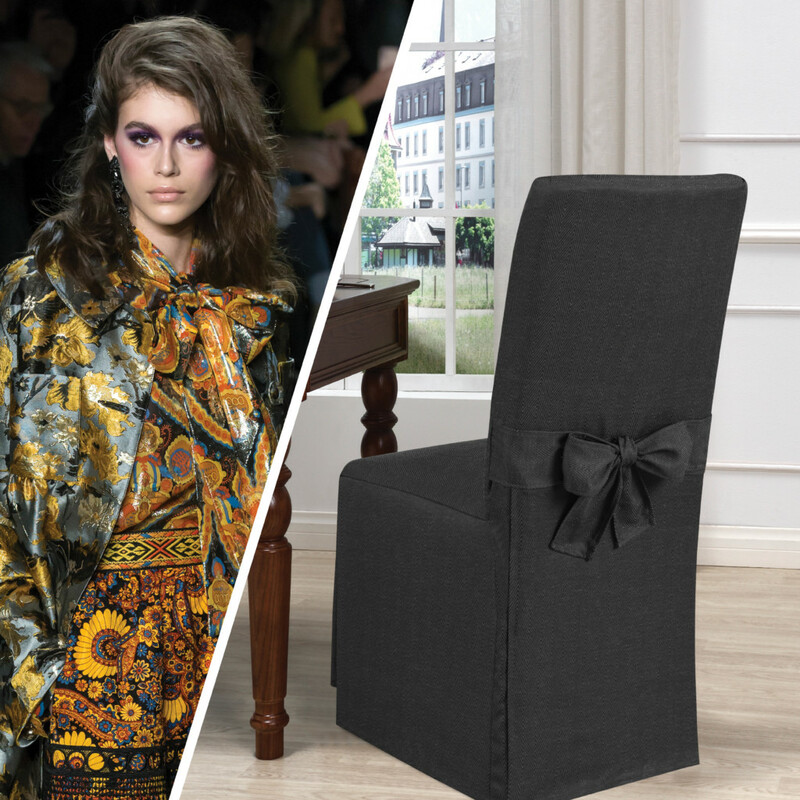 “Dining chair slips and pillow shams would both be great places to experiment with extra-large bows,” Kristin says. A super dramatic dining room would definitely benefit from some festive bows, the designer adds. A Hint of Lace Straight out of the delicates drawer, tops with emphasized underwire, dresses that looked like gorgeous slips and oodles of lace were out in force—creating looks with an air of risqué romanticism. Use a wallpaper that has the look of lace to easily get that boudoir-esque, cozy and sensual feel, Jules says. Don’t do anything you can’t reverse, Darcy says. 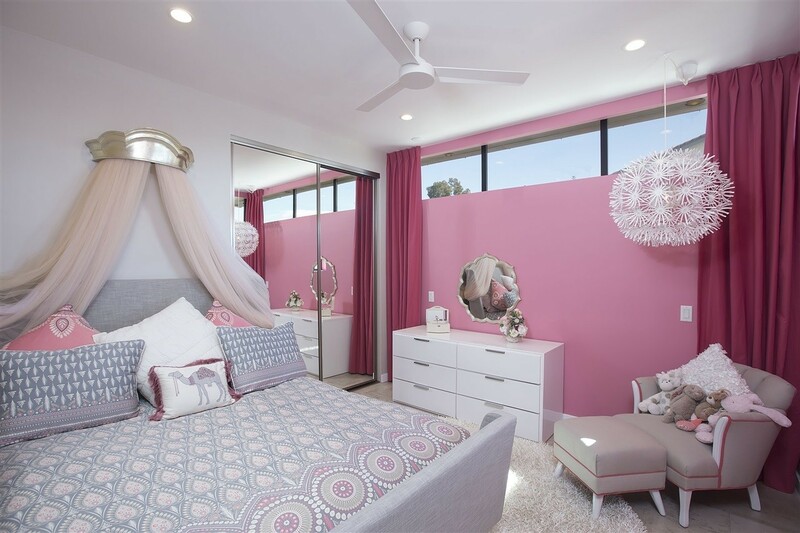 Dress private spaces such as the boudoir or home office in something unexpected—a fun light-up neon sign, daring pink-and-red artwork or a graphic wall covering, perhaps.